The Street area is progressing, with the driveway gap being prepared for concrete spray. 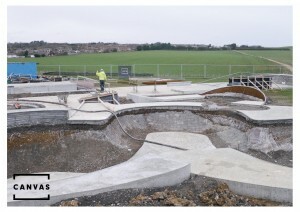 The street area being prepared with the ‘Hubba’ ledges and long ledge being positioned. 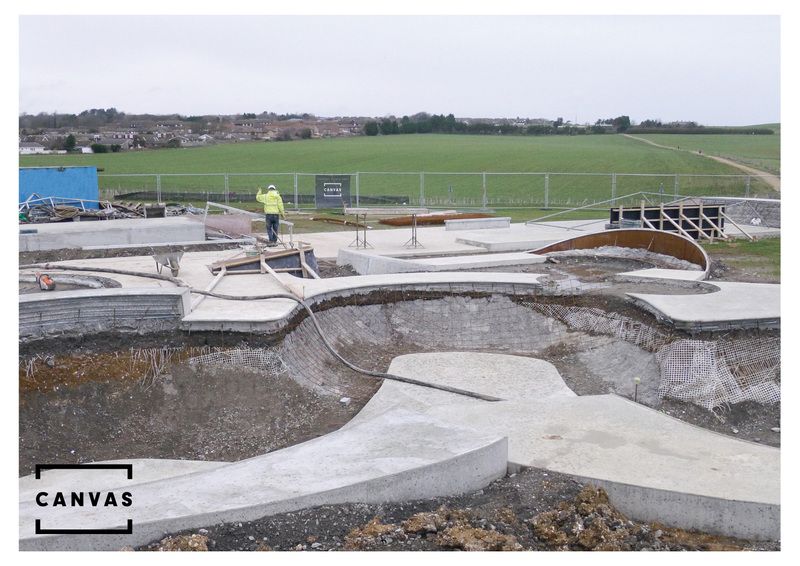 An overview of the park showing the levels and intricacy of the park – whilst maintaining space. 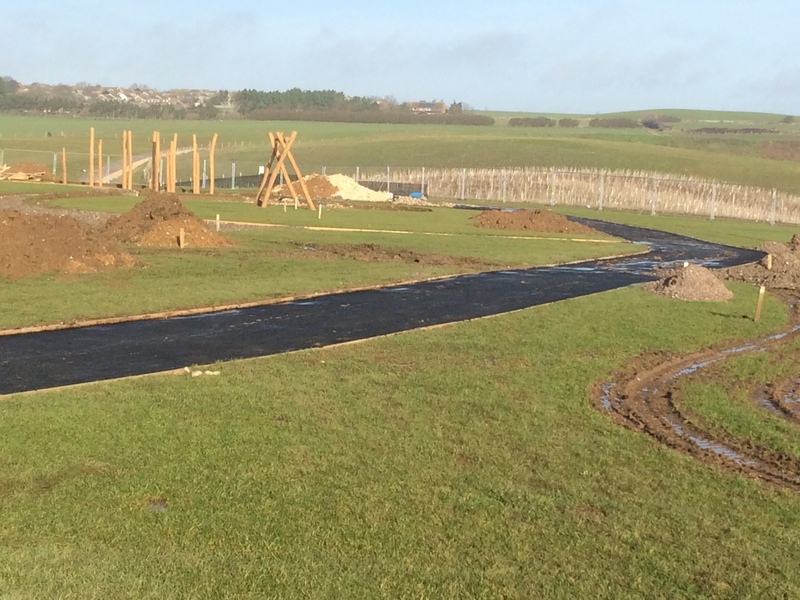 The authentic kerb island can be seen in the background, just behind the driveway gap. 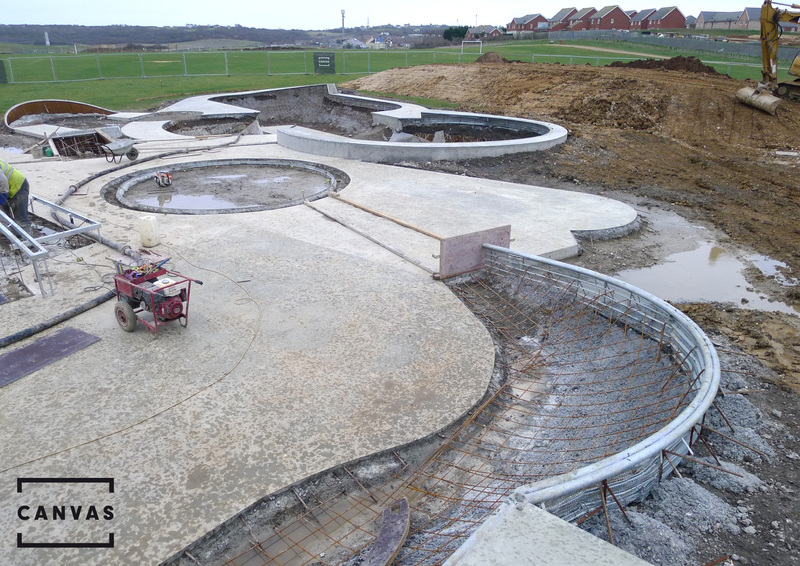 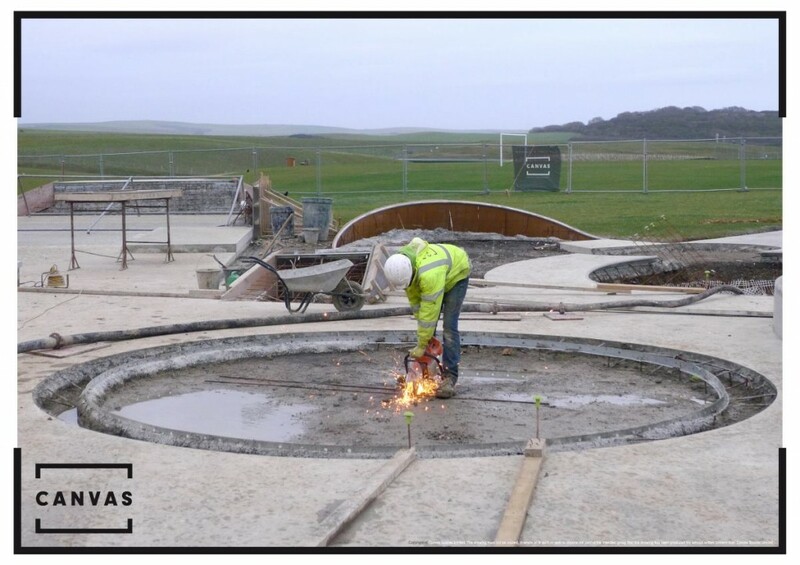 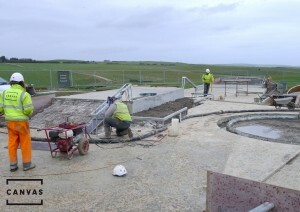 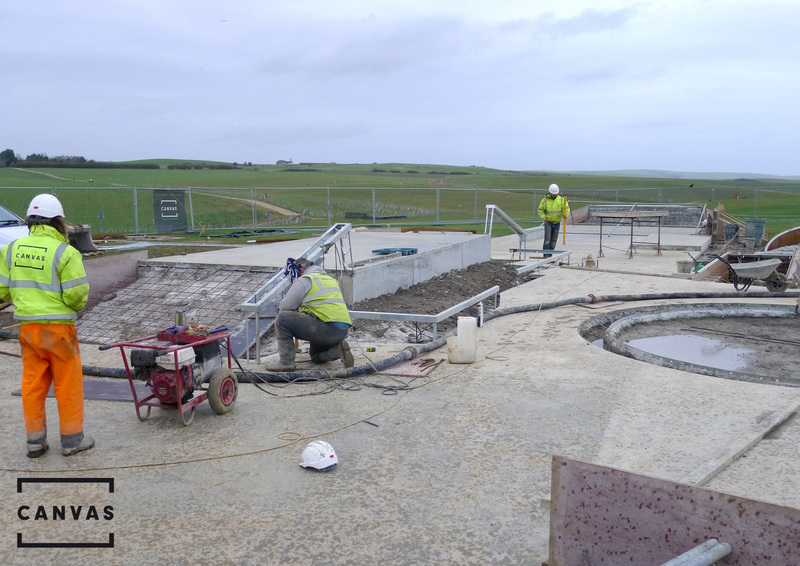 An overview of the bowl, with the landscaped mounding being prepared. 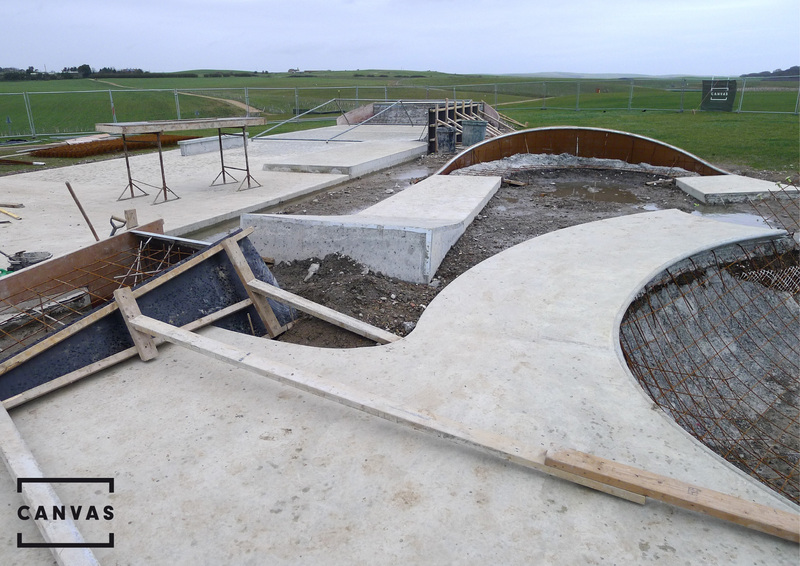 The foreground shows the hipped quarter-pipe being prepared for the spined rear.